uplyme.com :: View topic - So why are we in Afghanistan ? Posted: 20/07/10, 09:42 Post subject: So why are we in Afghanistan ? We are paying the highest price possible for our war in Afghanistan. No, not just the 3 billion pounds which we can ill-afford, but the blood of our excellent young soldiers, marines and airmen who go where they are sent and do what they are asked to the very best of their ability. Yes, of course they know the risks when they join up - it's that sort of job, exciting but quite possibly lethal. But if, as a nation, we are prepared to continue to pay this price, we should understand very clearly what we are buying. I for one, do not. The government says we are fighting the Taliban in Afghanistan 'to make our streets safer' - can anyone explain just how that works please ? Deranged religeous bigots who want to make bombs and kill innocent passers-by do not need a distant country riddled with Taliban insurgents. They don't need a lab and a team of experts to mix a few fairly common chemicals together. They just need the Internet, someone fairly good with wire and batteries and a shed. They don't need several weeks of field combat training with RPGs and heavy machine guns to walk into a crowded area and press a button - yes in these sad days of suicide bombers they don't even need a timer. So in what way are we making our streets safer by sticking our noses in other country's business and making enemies of them? I don't get it. How does it make us safer ? Or, does it all really come down to that old three letter word O-I-L ? There isn't much in the way of natural reserves that we know of under that region, but it would make a convenient route for gas/oil pipelines to the west from central asian republics like Kazakhstan, Turkmenistan and Azerbaijan. Energy is expensive these days isn't it ? You may be close to the truth here! The only reason the USA got involved in Kuwait was that Saddam wanted to start selling oil in Euros not Dollars, the Saudi's didn't care who sorted it out as long as the royal family stayed in power in Saudi Arabia and they could say wasn't us it was the (insert suitable none Muslim name). There never was any real threat to KSA by Saddam only the oil production, and remember we (the UK) turn down the mineral rights to KSA in 1938 we told King Saud that it wasn't worth �500,000 and a waste of time! For oil production data-heads the EIA�s decision to terminate the International Petroleum Monthly has produced a small tremor. Yes, the data supposedly will be available each month through one of EIA�s databrowsers. However, these embedded browsers are actually not as user-friendly as the EIA might assume. For chart-makers like myself, we need Excel files. And many of us hope (and assume) there will be an extractable Excel file for global crude oil production data once the transition is made. For now, EIA has just produced its last IPM (December 2010) which updates data through October of 2010. Let�s take a look at the most recent revisions, and latest production levels. | see: Global Crude Oil Production in mbpd 2002-2010. A new post-crisis global oil production high was reached in October, at 74.08 mbpd (million barrels per day). It should be cautioned however that downward revisions every month this year have taken away previous monthly peaks, and we will have to wait until next year to see how 2010 settles out. Volatility in both production (and data gathering) in regions from Canada to the North Sea have produced wild swings this year. Meanwhile, Non-OPEC supply is getting another boost from Russia, even as the rest of Non-OPEC languishes. I wrote about some of the broader issues relating to EIA�s handling of data this week in an expanded post for The Oil Drum. | see: Secrecy By Complexity: Obfuscation in Energy Data, and The Primacy of Crude Oil. One of the pleasures of doing a guest post at �TOD� is the number of smart comments that populate the chatboard. The Oil Drum maintains a very high signal-to-noise ratio in the comment stream, which means most of the remarks helpfully amplify or educate others on the subject at hand. Unsurprisingly, the fundamental problem created by the EIA�s inclusion of biofuels and natural gas liquids in their forecasts for future oil supply was well understood, and well known at TOD. With the recent data now in for October 2010, let�s also update the average annual crude oil production chart. | see: Global Average Annual Crude Oil Production mbpd 2001 � 2010. Posted: 04/02/11, 08:33 Post subject: Will this be the "last" oil shock? Either way, with oil prices very strong before the seasonally strong summer season there is a good chance that higher oil and gas prices will continue to pose a very serious risk to the global economy. Ironically, a booming global economy might just be the fuel for oil and gas prices that tip the global economy back into malaise. Will surging inflation in the emerging markets expose the underlying deflationary risks that persist in the developed world? Prep, Prep, Prep! tell your family, tell your friends, get ready. Posted: 04/02/11, 08:53 Post subject: Re: Will this be the "last" oil shock? Thanks for the warning, but what apocalyptic event are we to prepare for when the energy sector in the global economy reaches 9 percent and how should we prepare for it ? well when the oil runs out (and it will) ie becomes unaffordable then we are into: TEOTWAWKI or The End of the world as we know it. to survive after that watch the end of the 2nd part of the collapse film. Your first link is to the website of Michael C. Ruppert, a well established conspiricy theorist, trying to sell more books. The second is an organisation that predicted global peak oil usage would be in 1997 and has regularly amended this ever since - the peak not having been reached even now. Unfortunately, I don't really have time to go through the rest, but with respect, I think you set your threshold of believability somewhat low. As I paraphrased elsewhere, "extraordinary claims require extraordinary evidence". Oil is traded on open markets, so it's price will ebb and flow according to demand. Blips aside, if demand exceeds supply the price will rise and vice versa. 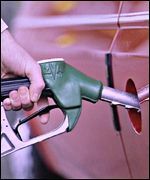 If we consider vehicle fuel (probably the most familiar form of energy regularly bought by the average person), from an ecological standpoint, petrol and diesel is far too cheap and the price paid at the pumps does not reflect the true cost to the planet. Lastly, a huge part of the street price of vehicle fuel is down to taxation (Fuel Excise Duty plus VAT) and oil company profits. Work it out for yourself - a $90 barrel of crude oil contains about 160 litres, which after refining produces around 75 litres of petrol to be sold, so the base cost of the product is very roughly 74p/litre. Don't let the mainstream be your only source, do your own research, do not take my word for it, Peak oil is here, hence the reason we are in Afghanistan, Iraq, & elsewhere (as well as the USA) check out this map that list major NATO bases, right beside the major pipelines in afghanistan, Ieaq, Saudi Arabia, etc. Now tell me why you think we are over there? Posted: 11/02/11, 12:27 Post subject: Re: So why are we in Afghanistan ?